Are Your Customers Using Smartphones? You bet they are, which is why you need a web design that works on all devices! 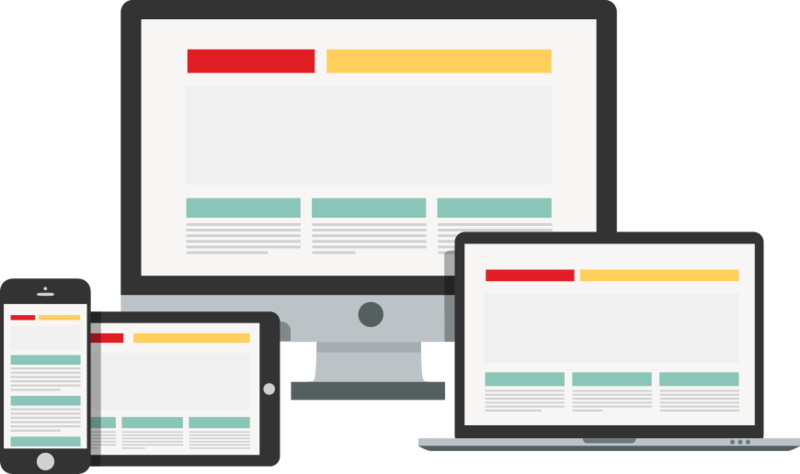 We believe in mobile-centric web design and want your website to look great on all devices, from desktop to laptop, to tablets, and smartphones. Your website should incorporate function as well as design, which is why we include a “Call to Action” that prompts visitors to either call or contact. Take the worry out of the web. Our easy monthly plans ensure that you will have a great looking website with full monthly support at a reasonable rate. With our monthly plans, you can use a combination of your maintenance hours and bonus hours to keep your site fresh with a website rebuild. Technology and design aesthetics always change, so this lets you keep your site on the cusp of the latest trends. It’s really an easy, 3-step process. Depending on your monthly budget, and the size of your website, we will find a plan that fits the needs of your business. How it works, and how to get bonus hours. Your monthly maintenance hours are used on the services that are listed with your package. Don’t worry if you do not use all of your hours in a given month because you can bank them for up to 12 months, and put them to use on bigger projects, like a website re-design. With our plans, you are able to borrow hours – up to 12 months, which allows you to undertake a bigger project using just your monthly maintenance payment, which lets you avoid extra design fees. Our clients can earn bonus hours, which are earned every 12 months on a plan. Bonus hours are great for site rebuilds, which are recommended every 18 to 24 months to keep your website up to the latest web standards and performing best. Things you get with our web design packages. You can get a new website every 18 to 36 months by banking a portion of your monthly maintenance hours. Doing this keeps your website fresh by using the latest technologies and best practices in website design. Let people know what services you offer, or the products you are selling. Great looking web design for desktop, laptops, tablets, and mobile phones. Let prospects who visit your website contact you with a quick and easy form that goes right to your inbox. Our expert copywriting team will research and put together effective web copy that you review and approve. Showcase your best work in an eye-catching image gallery with images that are optimized for the web. Using blog posts on your website is a fantastic way to discuss your products and services.